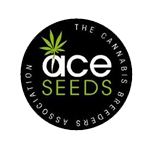 Ace Seeds - Ethiopian. Free US delivery. This Ethiopian cannabis is an African sub-tropical land-race sativa strain whose many qualities make it worthy of preservation. Ethiopian displays classic characteristics commonly found in African sativas, viz. tall plants with highly vigorous growth, much flexible branching with a long inter-nodal length and first-class resistance to the wet, heat, mould and strong winds. Traditional sativas such as this have quite long flowering times, indoors and out, but this is offset both by the quality and quantity of the finished product. Being a sub-tropical strain it does need warm temperatures and high levels of light. Outdoors cultivation is possible up to about 40° of latitude, sub-tropical and Mediterranean climates being the ideal. Although it is not the highest producer of THC, at between 8% - 12%, it will nevertheless be extremely well-received by lovers of cannabis sativa as it induces a superb high which is active, alert, social, energetic, lethargy-free, high in positivity and which is also devoid of paranoia-inducing effects. Its aroma and flavour is typically sativa with earthy and woody notes underpinned by floral and musk hints and a suggestion of fermented citrus. Indoors growers are recommended to switch to flowering very early, at around 14 days from seed or 7 days from cuttings. This will help to ameliorate the plant's tendency to stretch by reducing height. Ace Seeds warns growers to avoid high nitrogen (N) levels throughout the plant's life cycle; likewise with potassium (K) and phosphorous (P) until the 3rd. week of flowering. Ethiopian will be ready to harvest after 13 - 14 weeks of flowering indoors and during the third week of November outdoors in the northern hemisphere. This is a strain that will definitely put a smile on your face!